Is the MLT-D205E toner compatible with Samsung ML3310ND and ML3312ND printers? Can you tell me if Samsung ML-3310ND toner cartridge refilling is possible or not? If it's possible, how many times can it be refilled and how many pages can it print? We don't accept toner cartridges back for recycling so we can't offer you a refilling service for your empty Samsung ML-3310ND toner cartridges. However, we do sell premium brand recycled Samsung ML-3310ND laser toner cartridges which have already been professionally remanufactured and offer you a cheaper alternative to the genuine Samsung cartridges. Hi, I need to buy a toner for a Samsung ML-3310ND printer, preferably a 5,000 page one. The toner on your website says 'out of stock'. Do you know when this will be in stock or is there another toner that will be compatible that is in stock? Thanks, Emma. Our genuine high capacity black Samsung MLT-D205L toner cartridge (5,000 pages) for the ML-3310ND laser printer is now back in stock and ready to order either through our website or over the phone. Offices looking for a robust laser printer will enjoy the compact Samsung ML-3310ND mono laser printer. This reliable unit has quick print speed and is capable of delivering 50,000 pages every month. The Samsung ML-3310ND black and white laser printer is offered at an affordable price and running costs are low too. The only trouble with the Samsung ML3310ND printer is its fiddly control panel that may confuse some users. The small Samsung ML-3310ND mono laser printer comes in a grey enclosure with a minimal design. Paper trays are at the bottom and optional sheet trays are available to bring the maximum paper handling capacity to 820 sheets. For connectivity, Ethernet and USB ports are on the back. The Samsung ML-3310ND printer measures 366 x 368 x 252.9 mm and weighs less than 10 kg. Users will have no trouble sharing the Samsung ML 3310ND printer as it comes with Ethernet and it offers support for Linux, Macintosh, and Windows operating systems. 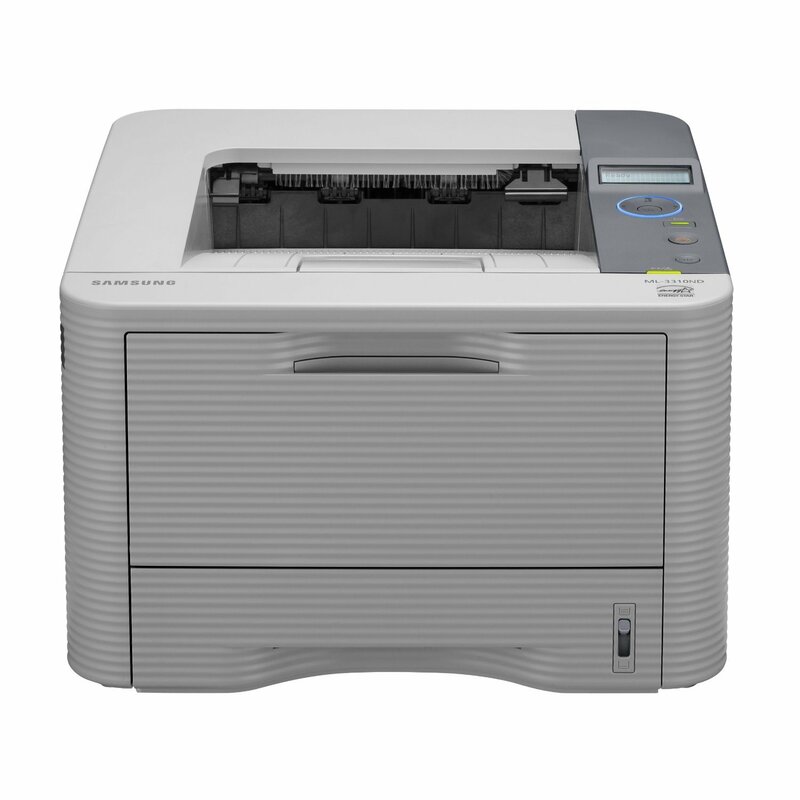 The Samsung ML-3310ND comes with resource-saving features including an automatic duplexer for double-sided printing and the eco-mode, which can be switched on with just a button on the control panel. The ML-3310ND laser printer can handle a wide range of media and has a large monthly duty cycle. A high capacity black Samsung ML-3310ND toner is available with an estimated print yield of 5,000 pages. There are just a few quirks with this unit. Some users find the Ethernet connectivity function difficult to use, and the ML-3310ND's control panel needs some work as it has small buttons.